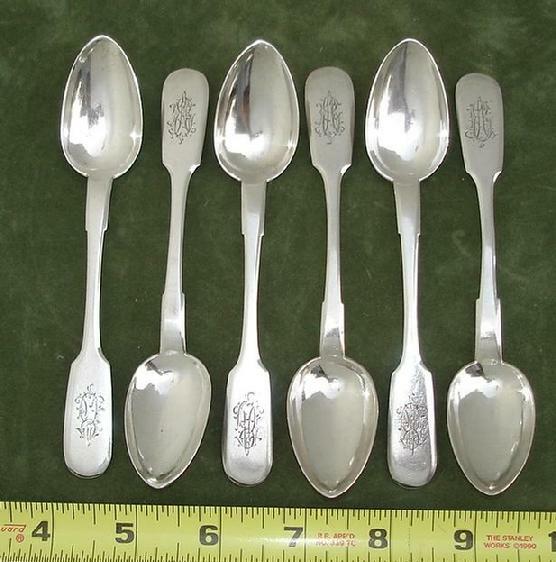 Six Russian Imperial silver spoons made by "E.P." Egor Pankratiev, St. Petersburg, circa 1898-1908. 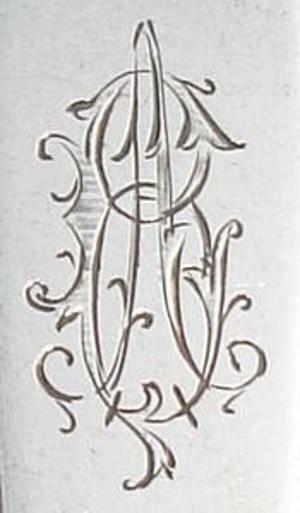 The fiddle back handle is engraved with a scrolling monogram. Marked with the 84 silver standard and the name of S.P. Burg who was an assayer in St. Petersburg ca. 1908. 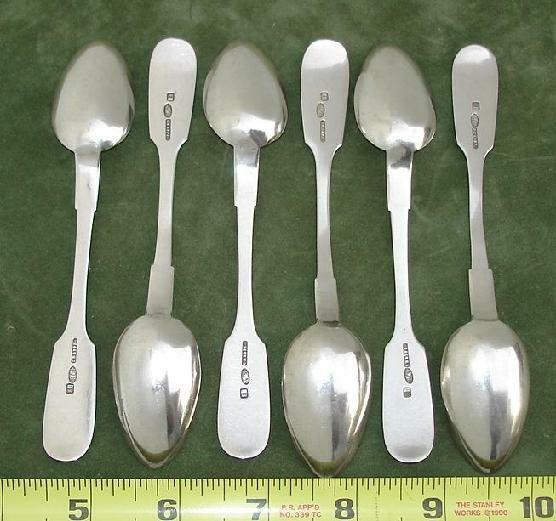 Length: 5 1/2"
Excellent condition, please look at the pictures.